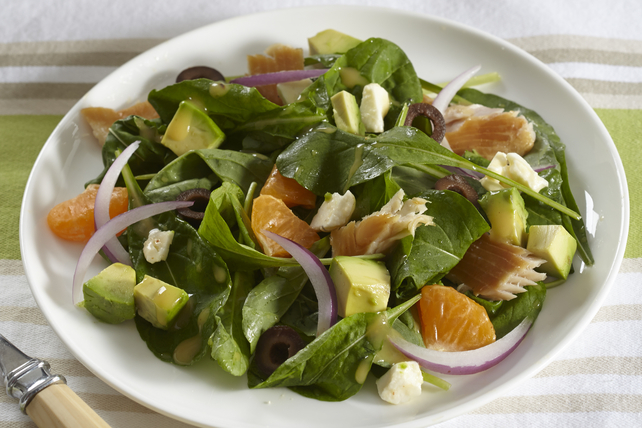 Combine arugula, smoked trout, feta cheese, clementines, avocado, red onions, and black olives and you've got yourself a super salad. You're sure to love the unbeatable combination of flavours in this easy-to-make main-dish salad. Toss arugula with remaining ingredients in large bowl. Prepare using flaked smoked salmon.